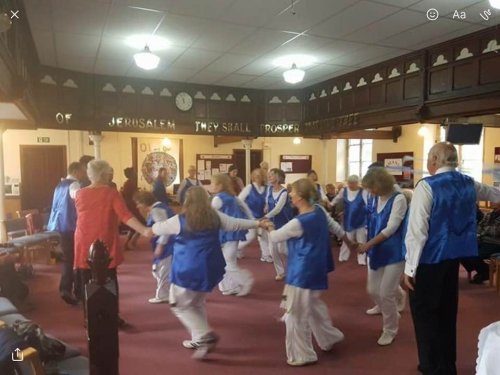 Kingdom Family Dancers meet primarily to worship the Lord in ‘Davidic’ Biblical dance (Psalm 149:3). 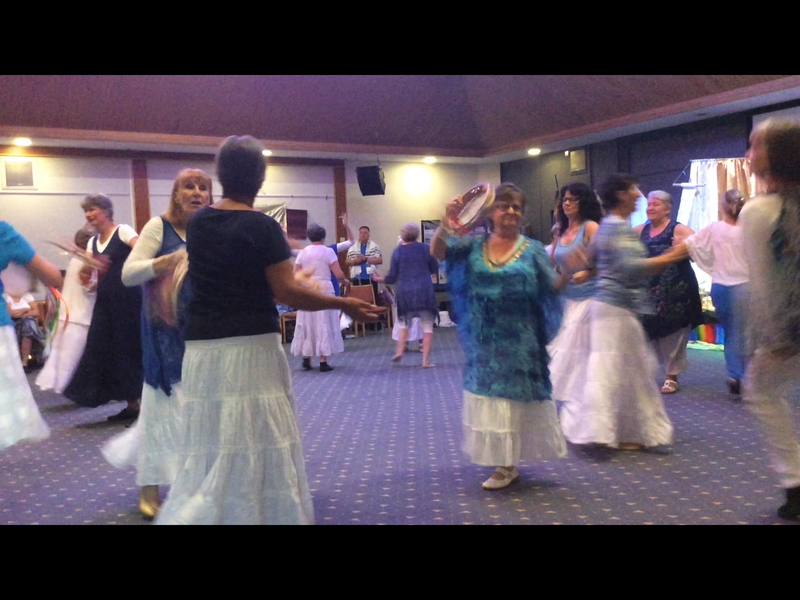 The dancing is mostly in a circle, holding hands. 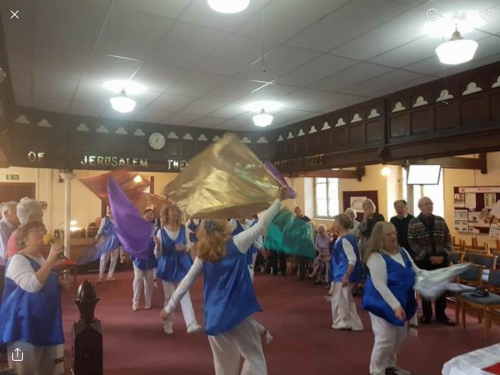 It is based on Israeli folk dance steps and we dance to Christian and Messianic worship music. Sometimes this is vibrant and fast, other times slow and meditative. 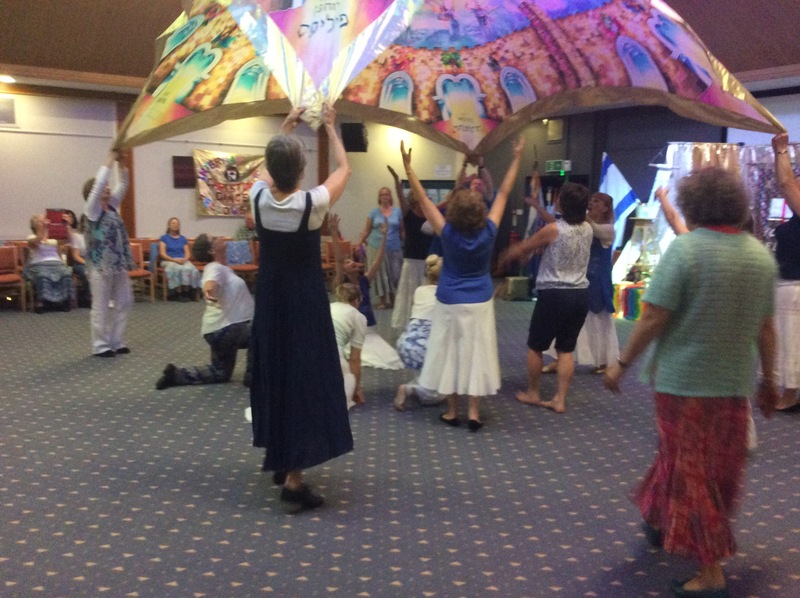 This is a wonderful form of dancing which helps us connect with the Hebraic roots of our faith and a circle includes everyone. Workshops are held on some Fridays and Saturdays throughout the year, in Chalford Hill. Venue address: Chalford Baptist Church, Coppice Hill, Chalford, GL6 8DZ. 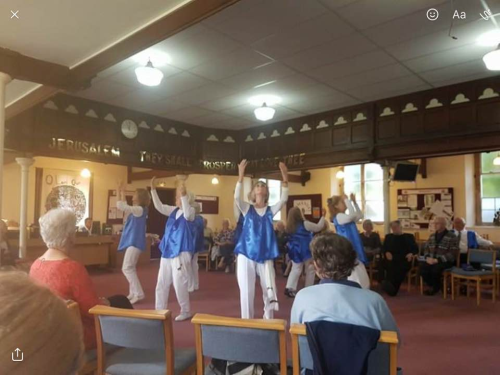 The Kingdom Family Dancers celebrated Jesus in the Feast of Tabernacles at Chalford Baptist Tabernacle on the 8th of October. ... 'On the last great day of the Feast, Jesus stood up and said "if anyone is thirsty let them come to me and drink".' (John 7:37). 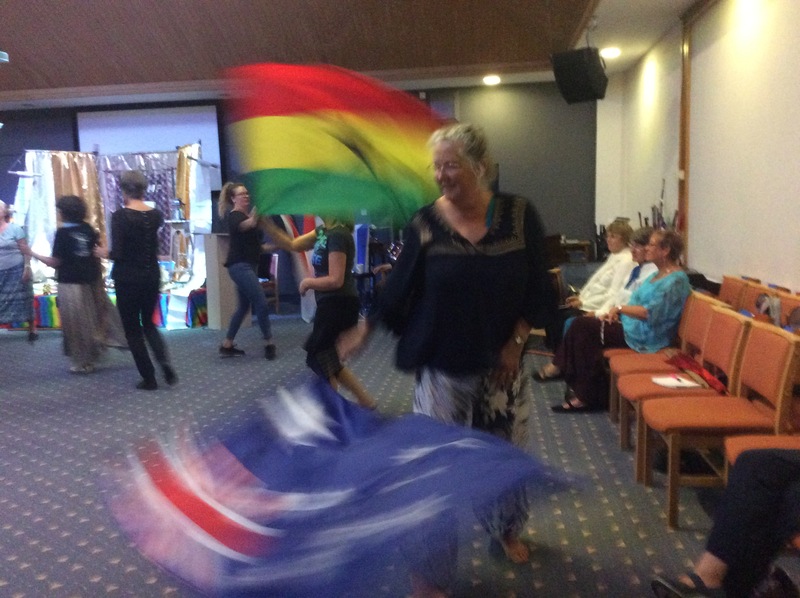 Others joined in to celebrate our Living Water, Jesus, as we danced to Graham Kendrick's song "is anyone Thirsty?" Victory Church, Cwmbran, 14th May 2017.